WYOMING — The Wyoming Highway Patrol says the number of fatalities since the beginning of 2019 is relatively high compared to previous years. 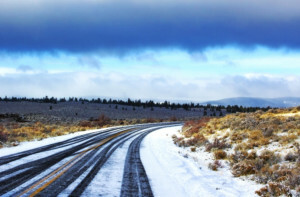 According to statistics from the Wyoming Department of Transportation’s Highway Safety program, Wyoming had a total of 108 fatalities in 2018, which was one of the lowest in six years. The Highway Patrol says that number is likely a result of drivers being more cautious. So far in 2019 there have been 16 fatalities. This is the 16th fatality on Wyoming’s highways in 2019. That’s compared to 8 in 2018, 9 in 2017, and 6 in 2016 to date. The rise is likely related to adverse weather combined with drivers not slowing down enough for the conditions. According to Elaziz, everyone should be prepared, even those that haven’t been in an accident before. Motorists can find information about weather and road conditions at the WYDOT’s 511 website. Having a survival kit that contains water, blankets, non-perishable food, cell phone chargers, flashlights, jumper cables, and a shovel. Having an emergency first aid kit. Letting someone know their travel route. Having a full tank of gas. Getting a winter maintenance check-up on their vehicles.